Hello everyone, happy Easter and I guess happy April Fools' Day (that just seems so weird)! We're kicking off our April Challenge and no joke, it's a colorful one. Dust off your knowledge of color theory because we are having a color wheel challenge! 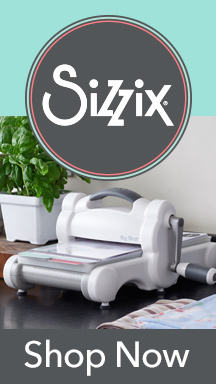 The journal consists of loose front and back covers with a ribbon wrap closure. The 'pages' are loose cards that are decorated on one side and the other side is used for journalling. I decided to make mine a gratitude journal so I can record the things I am thankful for. 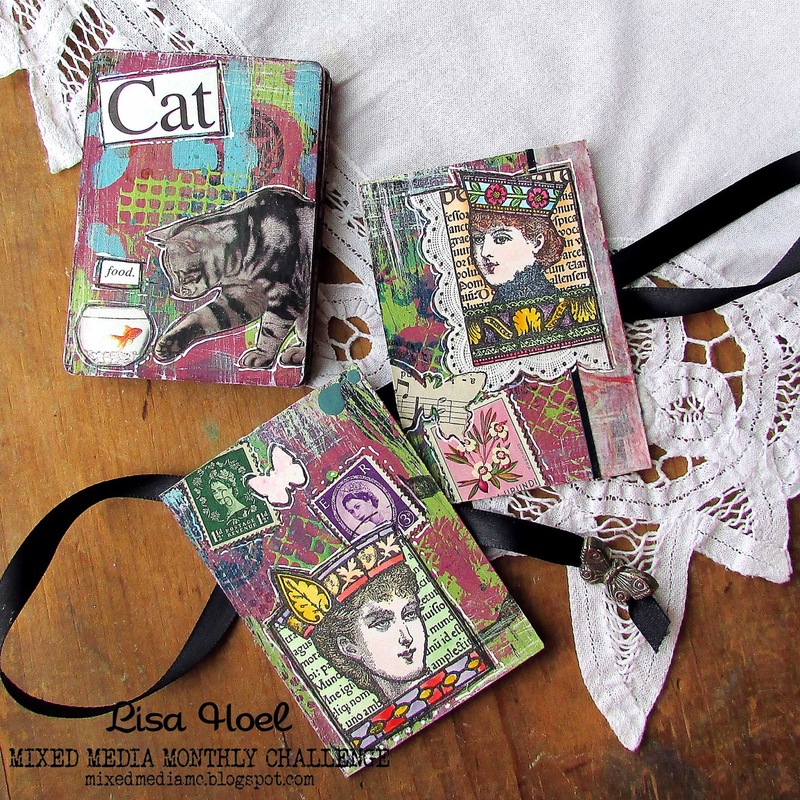 The journalling backs are more plain so you can write. 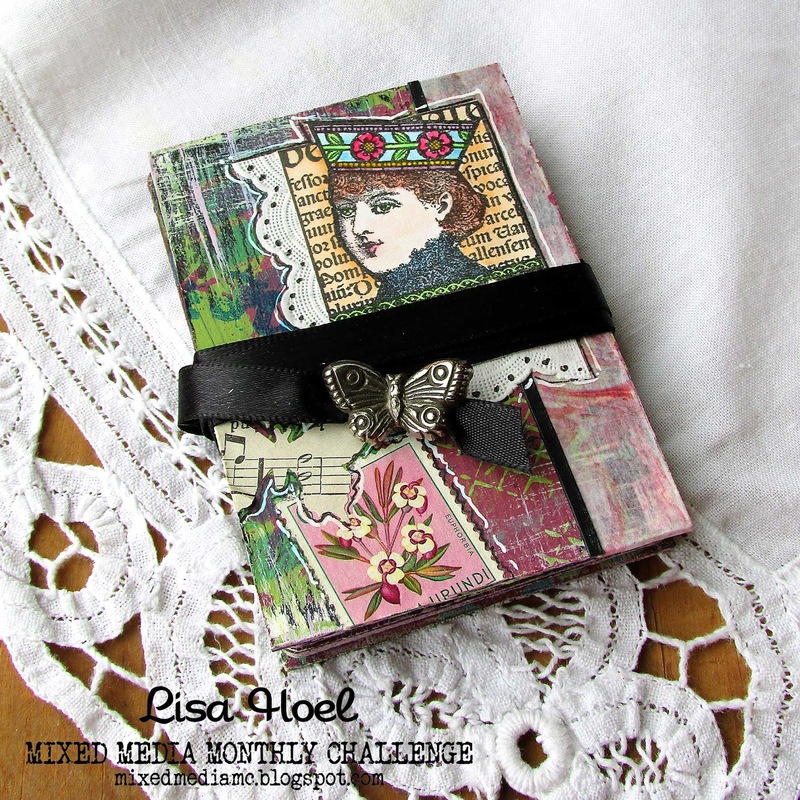 The fronts are a glorious mix of layers and layers and layers with collage! stamped images etc. to find things to use for my collages. 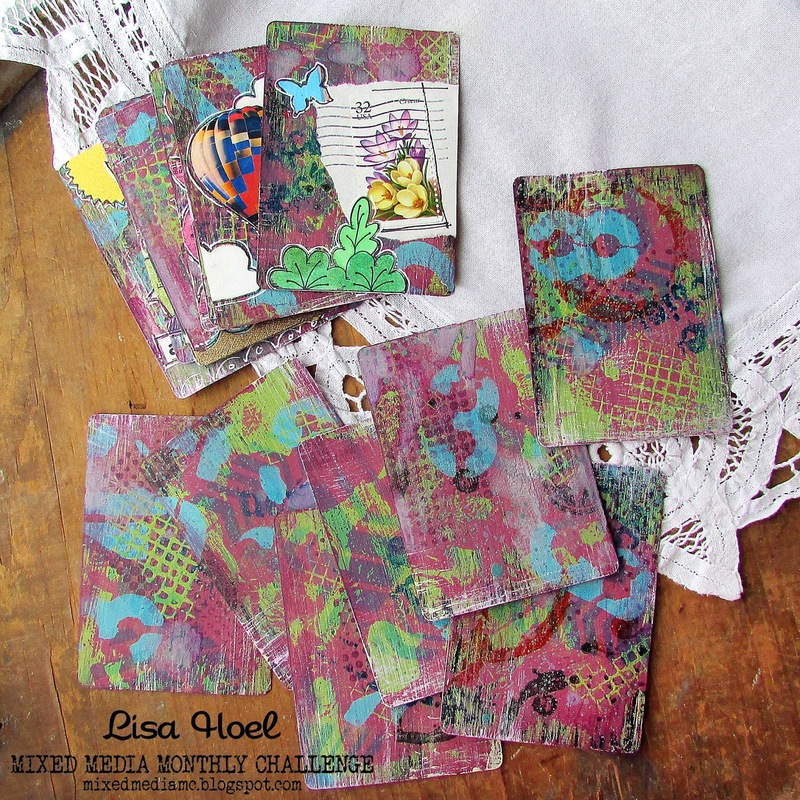 All the media layers of the card fronts are decorated at once. 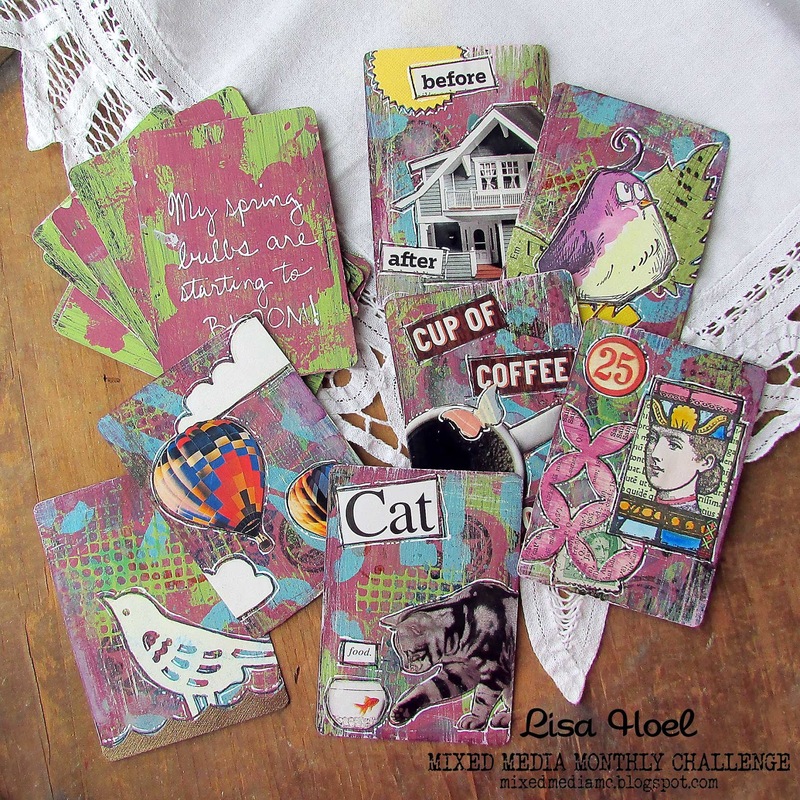 Seth suggests then doing the collages on the fronts at intervals, ie once a week when you pick a card to journal on. I've done some and the rest I'll add to as I choose. 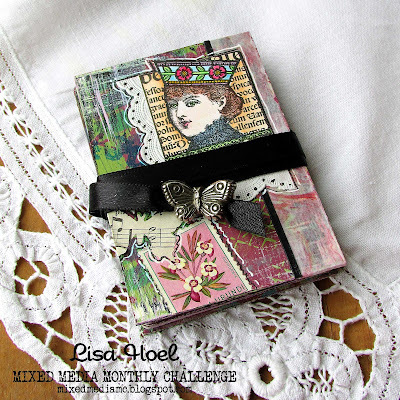 I am also entering this little journal into the Mini Album Makers April Challenge. Check them out too, there are always fun things to see! Lisa, I love your work so much. These colors are just awesome and your creation is so fantastic my friend. Thank you so much for sharing this awesome inspiration. This sounds fun! Great MM pages ! I love the bright and breezy feel of this charming little book. 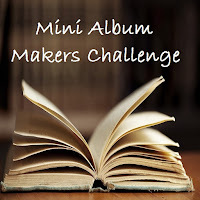 Thanks so much for playing along at Mini Album Makers. This is really a fun project! I love all the tiny details! 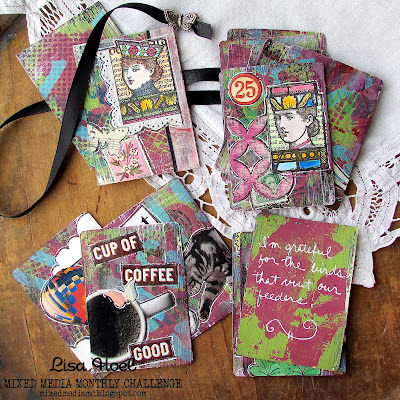 Thanks so much for sharing your work with us at Mini Album Makers Challenge.